This is not a trick or anything, what I am going to describe is an element of my sharpening process that has made the most impact on MY results. If you have read any of my previous sharpening articles, (thank you for that), you will know that I sharpen purely by hand using a variety of Japanese Water Stones. I’ve decided to share this information because I enjoy writing about sharpening and I teach this to sharpening students, it only makes sense to share it. This article is going to dwell on pressure and its importance in the hand sharpening environment and it is easy, really easy to understand and implement. It will be up to you of course to decide whether it deserves any merit but please know that I use this method every day on every knife and I sharpen for some heavy hitters in the culinary world. I don’t say that to boast, I simply mention it to alleviate any fears you have, you can visit my website and read the testimonials and decide whether you want to take the leap of faith. 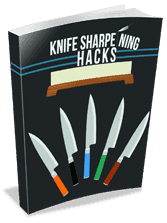 As I write this I am assuming you understand the basic fundamentals of freehand sharpening, i.e. use whetstones to raise a burr, refine the edge and get it sharp while holding the edge of blade at a consistent (consistent as you can manage) to the stone. I think that this is quite common knowledge to those who are interested enough to be here reading this. I believe in all of these fundamentals of course, I am not about to rock the boat here, this is not going to suggest you forget anything you have already learned, simply to adjust one little portion of it and you may already be doing it. I can remember focusing on holding my angle and grinding away on a coarse stone and doing this until I formed a Burr, on both sides. This is widely accepted as the time to stop grinding and start refining, in other words, get the burr formed form tip to heel on both sides of the knife, when that is done, you can switch to a finer stone. This indeed makes sense, by forming the burr, we have removed the fatigued metal, that metal that has to go and the motion of forcing the edge/bevel over the stone has done that, the abrasive powers of that stone on the edge has removed the necessary metal and we have exposed a new layer of steel, ready to go to work, ready to be refined and become the newly sharp Primary Edge. Time to move on to a higher grit stone. For example, we have worked with a 400 grit Naniwa Professional stone to raise the burr and siting on deck is the Naniwa Professional 1, 000 grit stone. When I sharpen a knife I typically start with a coarse stone, 400 Naniwa Chosera or 500 Shapton Glass, it’s a coarse stone, the brands I use are very common, stick with the brand you currently use. This article is not about brands of stones, it is about pressure. When I have successfully raised the burr on both sides, when I have spent the absolutely essential and critical moments to raise that burr I DO NOT switch to a higher grit stone. This is not the time to abandon that precious water stone, it’s job is done, it’s potential has not yet been reached, it has plenty to offer still. This is what I do and what follows is the most significant piece of the article, what I describe below is what has made the most dramatic impact on the results of my sharpening. I first got the idea from a Japanese Master sharpener I was fortunate enough to encounter. While he did not specifically direct any of this, it was his emphasis on pressure that led me to sharpen the way I do. This is not a significant departure from the norm by the way, the norm is awesome, this is my technique and I trust it. I am not selling anything here, so my opinions are unbiased. That is important to me, there are some good sharpeners out there but they sell products so I need to be aware of that in making my decisions. I DO NOT SELL ANYTHING, I am not getting anything from anyone for writing this article, this is me sharing information. This occurs after the burr forming process, this is where you may have previously switched to a different stone, it is where I don’t switch, not quite yet. I should point out that when I sharpen, I dip my blade in water often, I have a container of clean water deep enough that I can dip the blade vertically in the water. I do this between stages, I like the wet on wet feel of the knife on the stone and sometimes that little bit of water on the edge of the knife as a result of this is all you need to keep the stone lubricated. It is imperative not to duplicate the amount of pressure this second time around, you do not want to form another burr, Now, it is all about burr removal, the cleaning of the edge and CSR, Coarse Stone Refinement. This takes a little getting used to but the payoff will be significant, you are basically duplicating the steps taken to form the burr but with reduced pressure and also, you will not need to spend much time on this stage. It just takes a couple minutes at most and that is both sides of the knife, you are not grinding, you are cleaning, refining and in turn, making the edge sharper. Make a sweep from heel to tip and then from tip to heel on the right of the knife, flip the knife and repeat and that’s it for this stage and repeat this and that is it. All you have done is worked at the same angle on the same stone at a reduced level of pressure. Sounds simple and it is, by minimizing the pressure you are not removing metal from the secondary bevel with the coarse stone, that’s important. We don’t want to have a negative impact on what is the Primary Edge’s support, so easy does it, focused refining here is what you are striving for. Now I know you are itching to leave that coarse stone and move to the next grit but hold on. Now repeat the steps, from heel to tip and then from tip to heel on the right side then on the left and what is now an even less amount of pressure, you are using just enough pressure to keep the blade stable, it is like you are performing surgery on the surface of the stone and you can do this step at this level of pressure a few times, this is where the edge really starts to become sharper, in my experience anyway. With the “weight of the blade” pressure and your steady hand stabilizing the knife, using trailing strokes only here you drag the edge over the stone, same angle and you can do this four or five time. This is like stropping the knife on leather except you are using the surface of the lubricated whetstone, the coarse stone. I always make sure the edge is nice and wet at this stage. That is it, while this may seem like it takes a lot of time, it really doesn’t add any time to the overall process. Your patience here will be rewarded when you move to another stone, it goes quickly after this and believe me, you are going to see a difference, I really did myself. Why Not Removing The Burr With The Final Fine Stone? Also, I understand that there are those who believe that the removal of the burr can be left until the final stone. That is not the way I sharpen. In my opinion each stone has a purpose and burr removal, i.e. absolutely clear removal of the burr is a function of each and every stone used. Why would I leave the burr on the knife and let the 1,000 grit stone take care of it? I like to get the edge as clean as I possibly can with with coarse stone. I hope that by the time I get to the finishing stone, there is no burr at all, now at the microscopic level there may be but I know that I have done my best to reduce it in size as much as me and my stones can do. 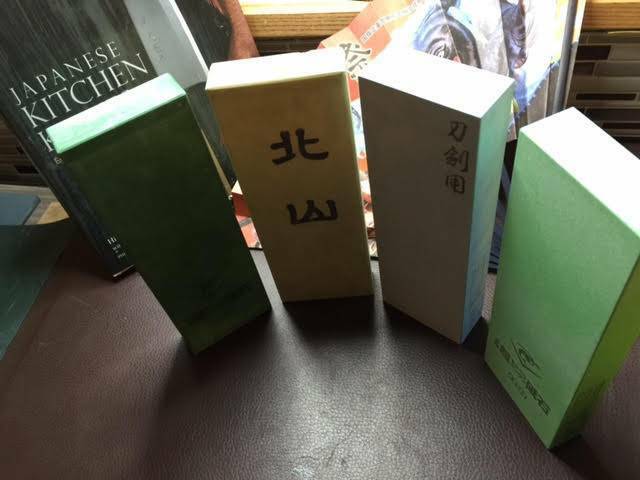 In summary, your water stones have a heck of a lot to offer, this simple process generates the feeling for me that I have optimized the abrasive properties of the stones. Also, I do this process with every single stone I use, not just the coarse stone. So the difference here is that when one may normally switches out the coarse stone with a medium or fine stone, I revisit the coarse stone and make the edge as clean as possible by repeating the sharpening motions with greatly reduced pressure. It takes time to become good at it but it is worth the effort in my opinion. If it wasn’t we wouldn’t be reading this right now. If you disagree with what you have read, it’s all good, stay sharp your way, I respect you for doing what you do. To all, thanks very much for taking the time to read this.